The InBody S10™ is a body composition analyzer that can be used in bedded patients for fluid management and nutritional assessment in critical care. InBody’s Direct Segmental Multi-frequency Bioelectric Impedance Analysis (DSM-BIA) technology and exclusion of empirical estimations allow InBody devices to achieve extremely high levels of accuracy and reproducibility, and the non-invasive nature of BIA procedures makes testing on an InBody device simple and convenient. InBody provides a comprehensive breakdown of body composition by giving a wide range of outputs including basic body composition parameters such as, Total Body Water, Percent Body Fat, Lean Body Mass, Skeletal Muscle Mass, BMI, and advanced nutritional assessment parameters, Phase Angle, Body Cell Mass and much more. Recently InBody has been used in dialysis center for dry weight, and also in ICUs for nutritional assessment and severity assessment using segmental ECW ratio and segmental Phase Angle. The Intensive Care Society is dedicated to furthering education and research into intensive care in the UK. We aim to ensure our members, who are drawn from medicine, nursing and allied health professions, are equipped with the knowledge to deliver the highest quality of care to their patients. 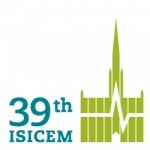 The International Symposium on Intensive Care and Emergency Medicine is held in Brussels in March every year. Started in 1980, this international meeting has become established as one of the largest in its field, now attracting more than 6200 participants (including exhibitors and visitors) from more than 100 countries worldwide. The meeting is organized by Promotion des Soins Intensifs (a non-profit association) with academic support from the Departments of Intensive Care and Emergency Medicine of Erasme University Hospital, Université Libre de Bruxelles and the Belgian Society of Intensive Care (SIZ).